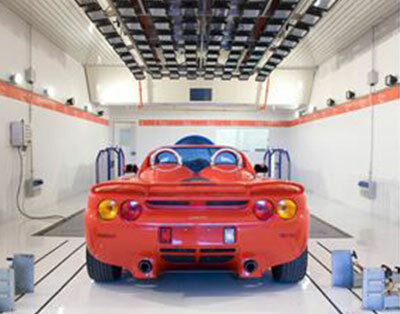 With large projects in major automotive in Brazil and Latin America, REFRISAT already occupies most of the sector’s industries who need a technically sophisticated equipment and has easy customization, especially due to the adversities arising from problems related to construction and infrastructure. The entire line is special for use in various processes, as well as the industry demands and needs. Different types of coolers for various applications, always with the best quality and unique features developed by the unique automation laboratory and cooling from REFRISAT. The model SAT C is admittedly more robust, versatile, with high power and low cost. From large buildings to large industrial processes, it is the perfect solution to generate results. 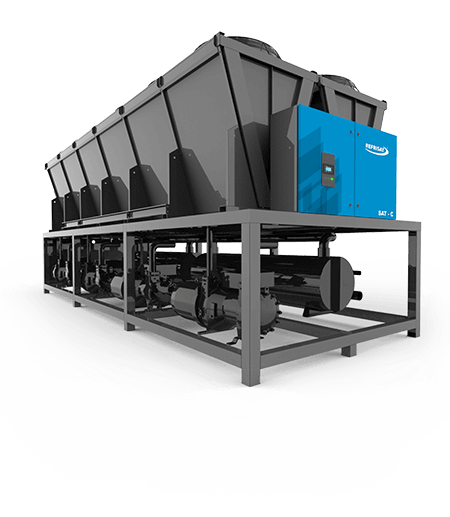 With two options of condensation (air or water), this equipment is used in many applications with a simple, self-intuitive and innovative control system. We are the first to launch a concept device with unique features, combining efficiency and stability. Cooling circuit with capability control and electronic valve. 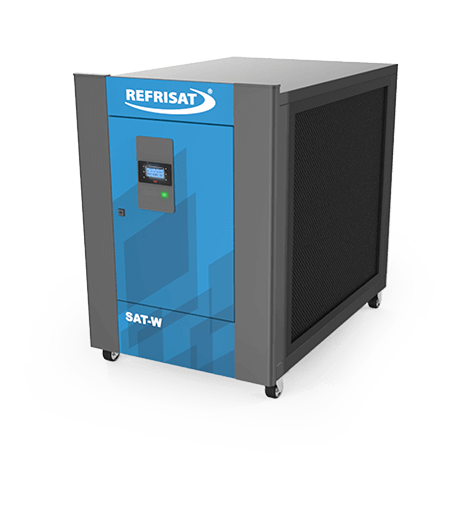 Among the main products of REFRISAT line, the open circuit options (TRR) and closed (Drycooler and Evaporative Tower Hybrid) offer different features according to what the process seeks. 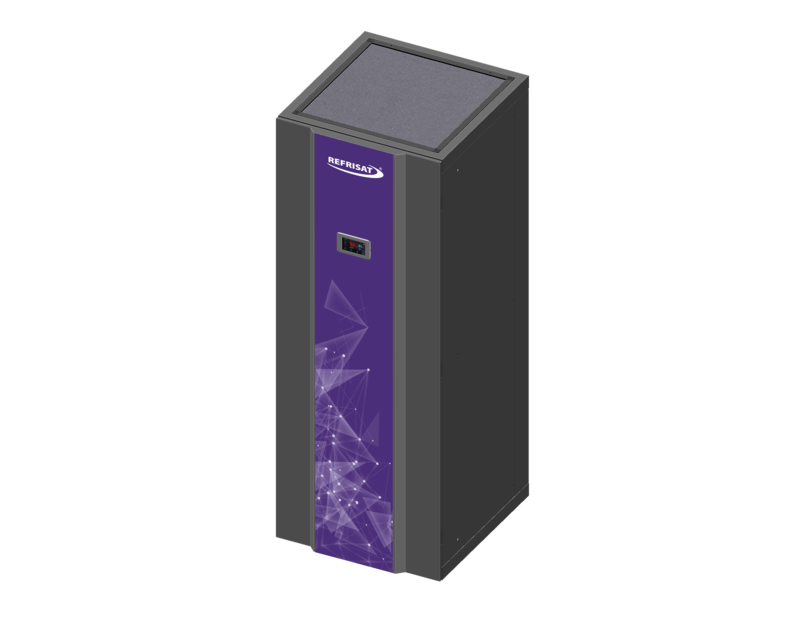 The Self Contained Precision Air Conditioner is the alternative of maintaining the temperature inside the data center system. Data Centers are complex structures. With the most diverse components that together allow the processing and storage of information for the business continuity of a company. 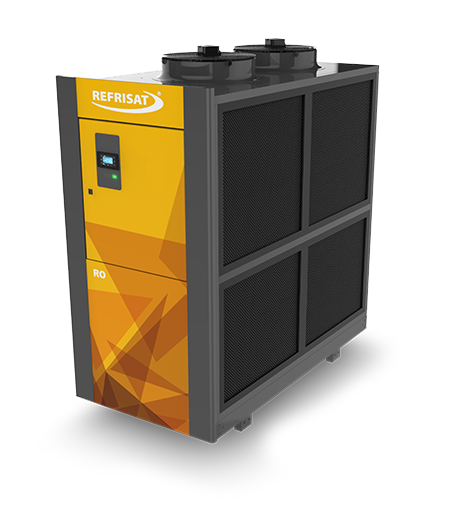 REFRISAT has an engineering team that comes across any project, for specific applications and customized processes with special characteristics. Our website is under maintenance. 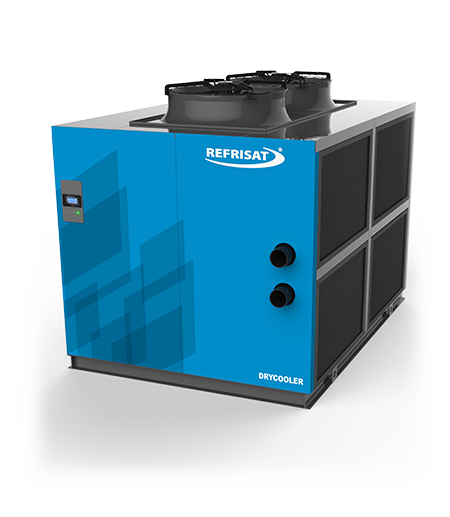 Please send us an email at refrisat@refrisat.com.br to ask for a quotation.